Currently viewing the tag: "theblock"
Ask Ms. Shelved – Stunned in Sackler! Please enjoy the inaugural edition of Ask Ms. 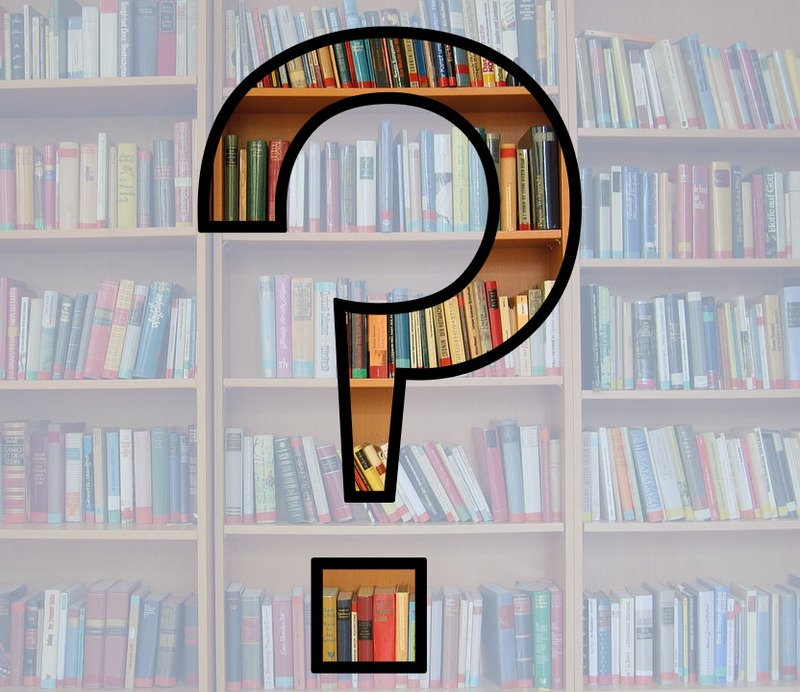 Shelved, the new, irregularly scheduled advice column from HHSL! 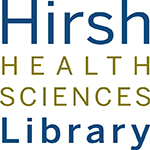 I am in my final weeks of classes for the semester, and I find myself studying (and eating, and sleeping) in the Hirsh Health Sciences Library. I am the first person in the building in the morning and the last person out. I haven’t seen my cat, Hortense, in days, possibly weeks. My friends think I moved away. I saw my own picture on a milk carton the other day. But today I discovered that the caretakers of my cozy den, my warm second home, my snug grotto of learning have cast me out! I approached the Library Service Desk to check out a phone charger, and was told that I had overdue items and I could not check anything out for a FULL WEEK. Ms. Shelved, I am bewildered, bamboozled, and BLOCKED. 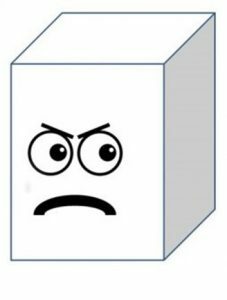 Well, it seems you’ve been visited by THE BLOCK. He’s like a lot of other holiday specters…like the Uncouth Uncle at Thanksgiving dinner, he’s never a welcome visitor. Like the Schmaltz Stain left on your sweater after frying latkes, he’s persistent. And like the Tantrumy Toddler at Christmas, he follows you around, fraying your nerves and trying your patience. Electronics, accessories, reserve materials, skulls, models, etc. circulate for 4 hours. Set a timer on your phone when you check out. If there’s a chance you’ll get stuck in a meeting or appointment, TELL the person who checks out the item, and ASK if you can have a (reasonable) extension. If a genuine crisis arises (like a building evacuation or a trip to the Emergency Department), CALL the desk at 617-636-6705 and let us know, we will try to work something out. Remember that you can renew some items (like laptops) as long as no one is waiting to use it, but you have to bring it back to the desk first. Many of the books on reserve are also available online! You probably don’t need to smuggle that textbook out overnight. I suggest paying closer attention to your loans, because if you are blocked again before June 30, you will lose your borrowing privileges for 30 days! 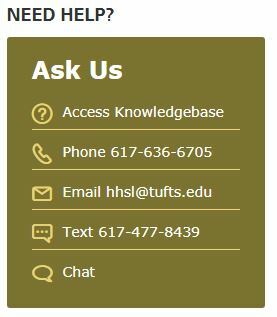 Stunned, if you have any questions about the Blocking Policy, please see it in full here: https://hirshlibrary.tufts.edu/about-us/policies/overdue-items. Remember, try to get some sleep, take a shower, drink some water, and bring your stuff back on time! 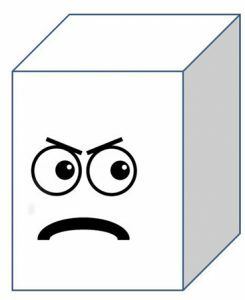 Meet the Nefarious Cousin of THE BLOCK…THE BILL! AHH! Don’t sneak up on a person like that. You startled me. THERE HE IS! Don’t look into his eyes! AVERT YOUR GAZE! He has come for you! It’s possible that you may not know THE BILL is coming for you…you might never have visited Tisch Library in person, but it’s possible you requested an item from Tisch, or the related SMFA or Lilly Music Library via JumboSearch. Even if you picked it up and checked it out at HHSL, you are beholden to the rules of the library that owns the item, and if you’re late you may owe a fine or replacement fee, bringing you face to face with THE BILL. 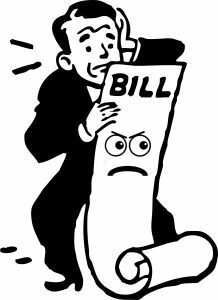 And if you don’t pay THE BILL, you might end up in a tangle with…THE BURSAR! So, check out the Tisch Fines and Fees to be safe and avoid THE BILL. Any questions? Don’t hesitate to Ask Us!